everyday I fall in love all over again with the things I hold sentimental. Sometimes I like to sit with my coffee & reflect back to when it was given to me, or how excited I was to find it! 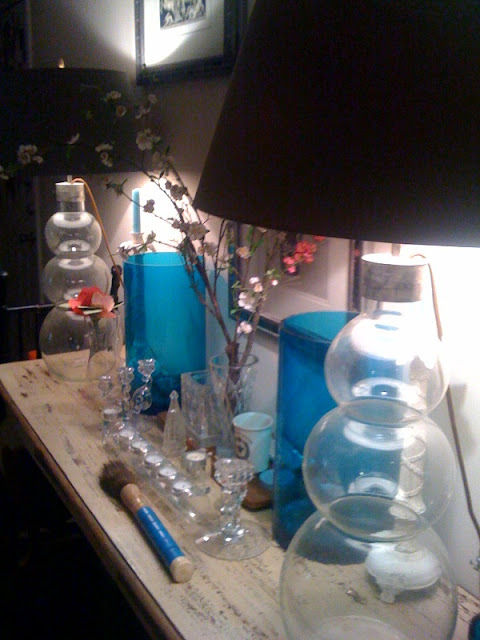 The lamps were a gift from my dear, longtime friend David of Julian Chichester furniture. Julian is a remarkable furniture designer & I was blessed with meeting him when he first came to America. I have many of his pieces, and adore them all! David and I have been friends for many years now, and when I think back through those years, tears swell in my eyes. I am blessed with amazingly talented & creative people in my life, and they do not go unappreciated! Friendships are so very vital for human survival. Hold on to them dearly, as they are part of your legacy. 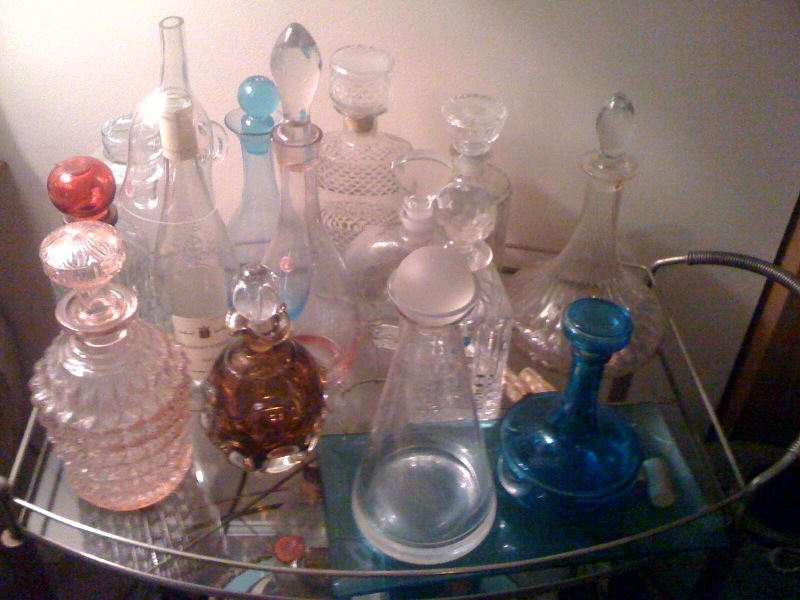 The photo above is my antique decanter collection. I started collecting when I was in my teens & a few were at least 60 years old when I found them! My Auntie gave me the amber Murano glass over 20 years ago, it adds a nice contrast to the pale ones I usually collect! The blue ones were found at Goodwill many years ago.